Teaching sorting is one of the first units covered in many early childhood classrooms. It is an essential skill for little ones to understand before many other math skills can be developed. 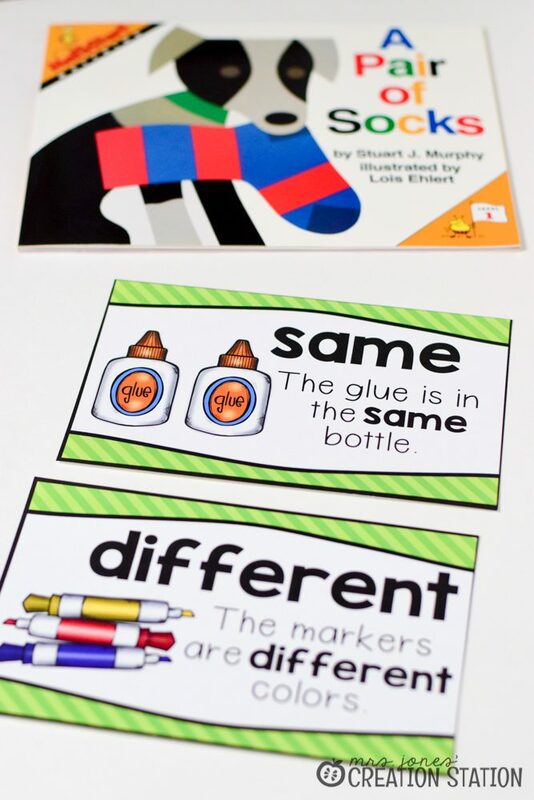 Little learners need to know what makes objects the same and different in order to begin understanding the concept of sorting. This may seem like basic knowledge and there are many children that learn this skill through everyday activities. 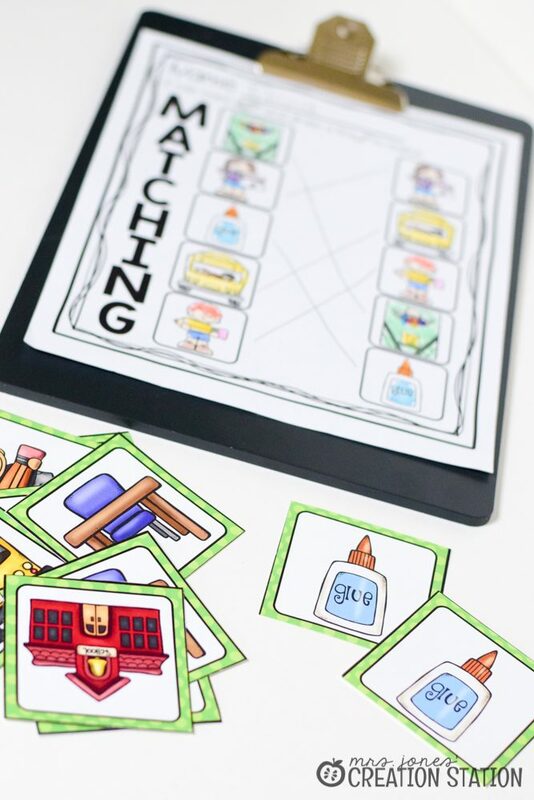 However, learning the vocabulary and concept of looking for attributes or characteristics that are the same and different is the goal of this lesson. When you start every math concept with a storytelling lesson, you help learners understand how a particular concept can be used in everyday life. Covering a math standard in a relevant and engaging way? Yes, please! For this storytelling activity, we sort socks. Yep, socks! It is easy to get this story going because it is a real issue in our house. Bring in a pile of socks and tell you learners that you just can’t seem to match the socks. Have your learners work with you to find out how to match socks as well as how to look for similarities and differences. After the storytelling lesson, it is time to get learners engaged with a book. 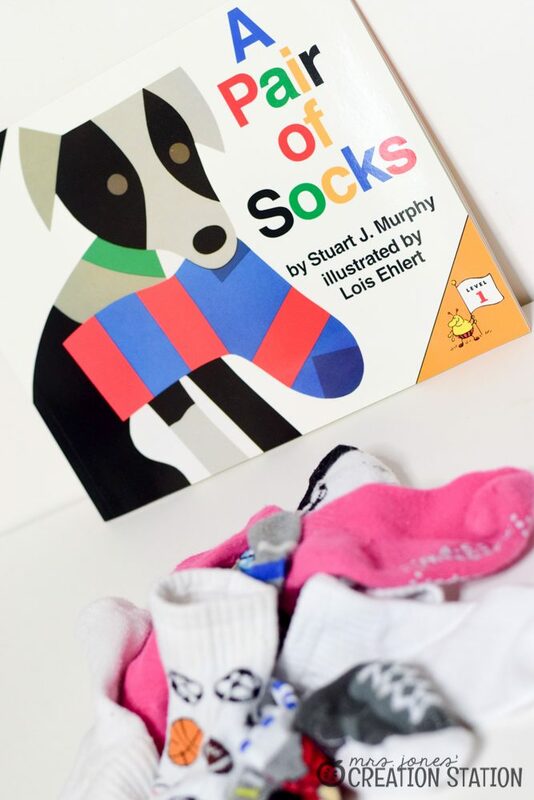 A Pair of Socks is the perfect book for this lesson. Read the book and review the words ‘same’ and ‘different’. This is also a great time to introduce the vocabulary cards and post them on the math word wall. Now it is time to get the learners engaged with a fun activity in order to practice this skill. 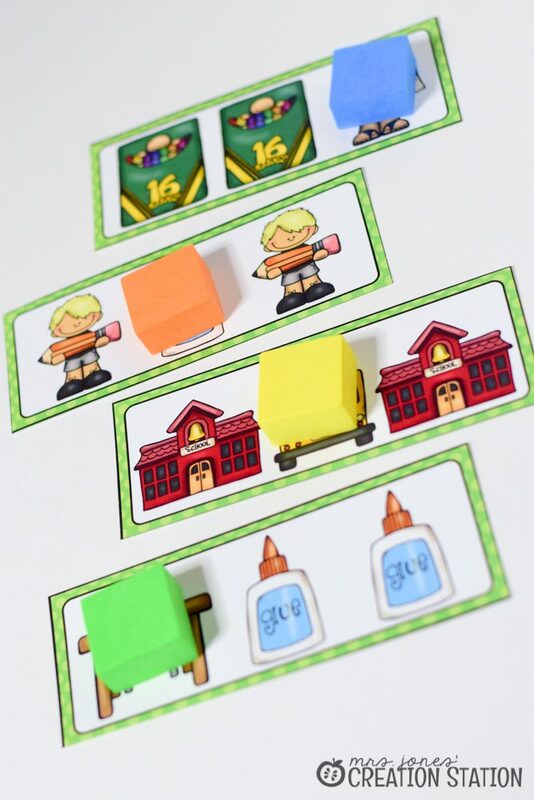 In the game, ‘Pencil Pairs’, each learner is given a pencil. Next, they walk around the room to find the pencil that matches theirs. 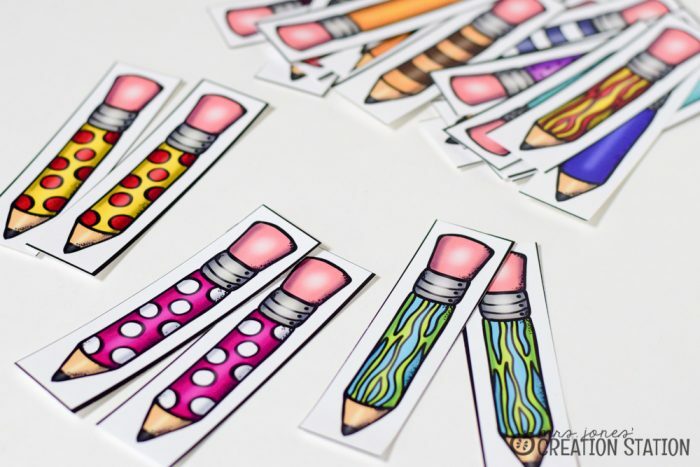 To extend the activity, they can find a pencil that has only one thing that is the same. 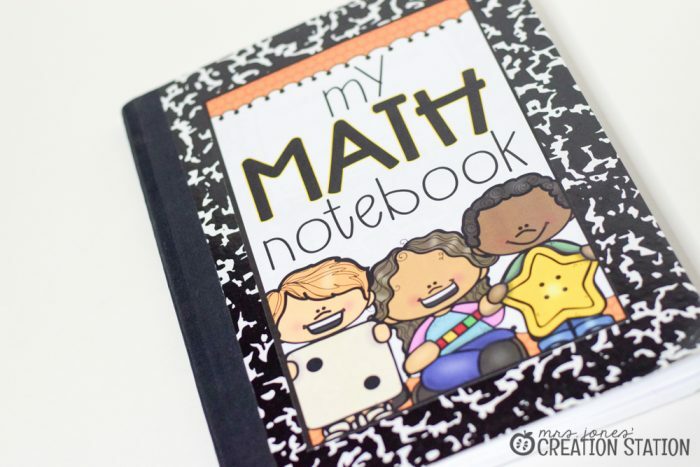 Creating a Math Notebook for learners to use is a great way to save paper. It also allows learners to review these concepts throughout the year. 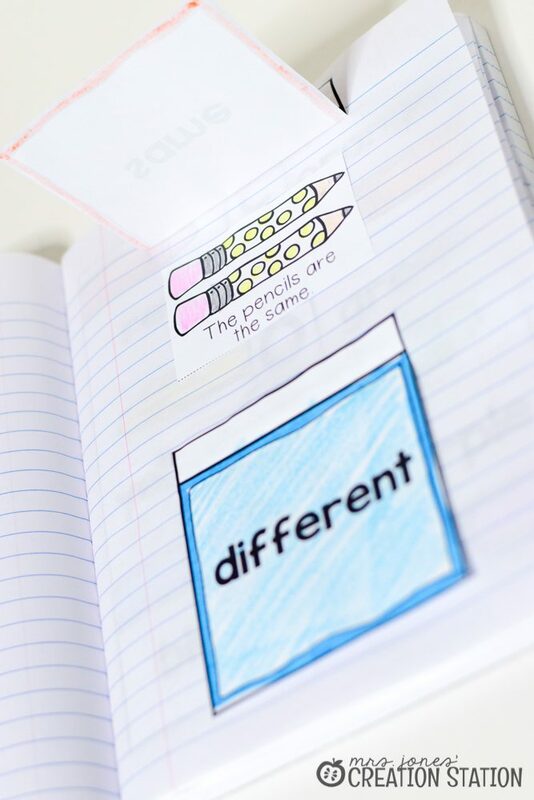 Learners CREATE their own pencils that are the same and different with this interactive math notebook page. Simply color and glue to the math notebook. Learners can continue to practice this skill in their math center by matching the pictures cards. This can be done on a pocket chart , as a game of concentration or just matching on a table. Learners can complete the printable as an assessment or turn it in after math stations. 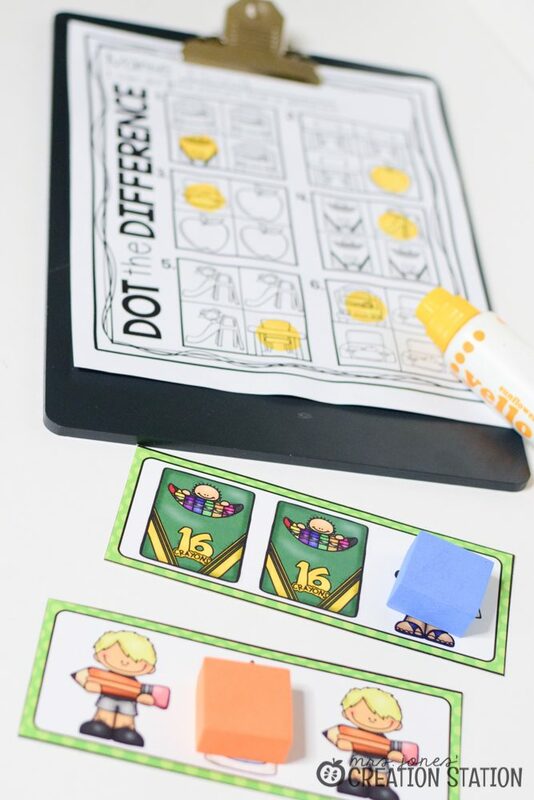 One way for learners to practice finding the difference is with this simple yet engaging center. 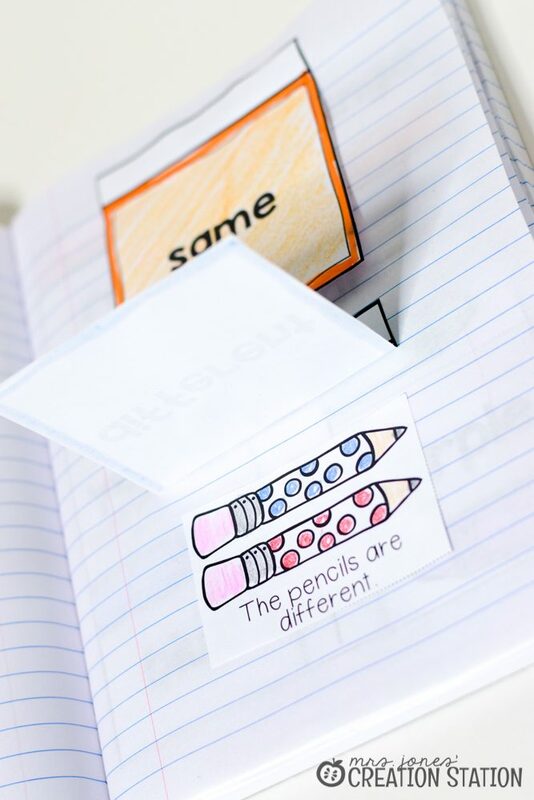 Have learners place a manipulative on the picture that is different…super simple! Learners can also complete the printable included. 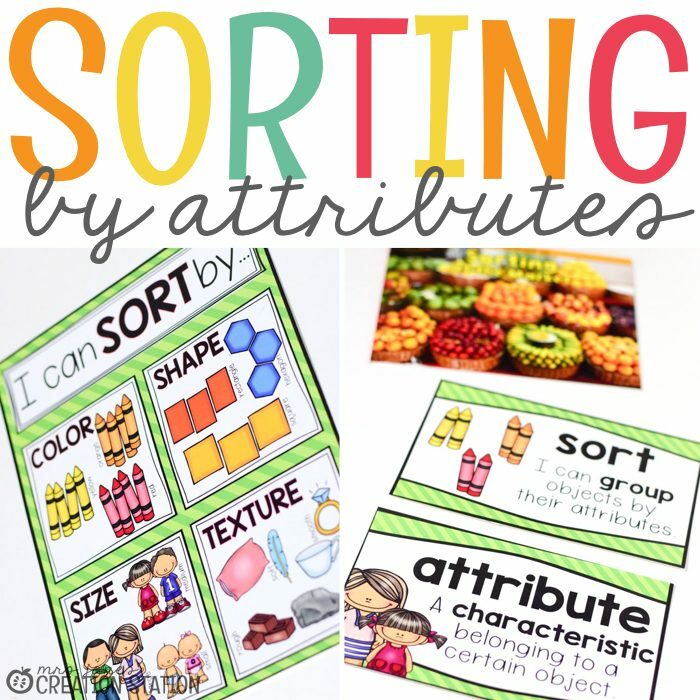 If you are planning a sorting unit for your classroom, be sure to check out my Sorting By Attributes unit and grab all of the resources in this post. 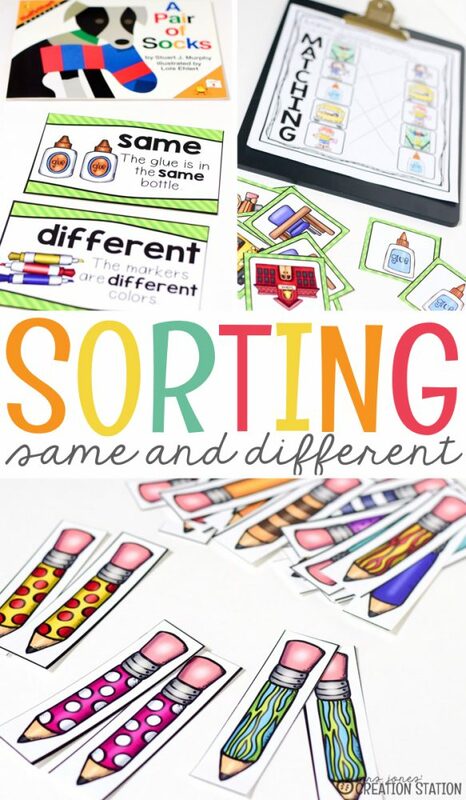 Find more information for other sorting lessons in my Sorting Series and grab the FREEBIE included.